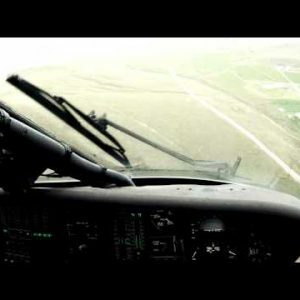 rotor Archives - Page 4 of 7 - Stock Footage, Inc.
Black Hawk copilot looking down, flying w/ windshield wipers. Shot of soldiers attaching fuel tank to Black Hawk helicopter. Shot from field of Black Hawk helicopter hauling off cargo. Shot from field of Black Hawk helicopter and soldiers preparing to haul off cargo. 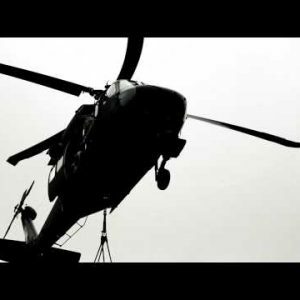 Black Hawk helicopter flying away carrying a fuel trailer . Shot of Black Hawk helicopter hauling off fuel tank from field. Shot from field of landed Black Hawk helicopter tail boom. Black Hawk helicopter hauling off Humvee. 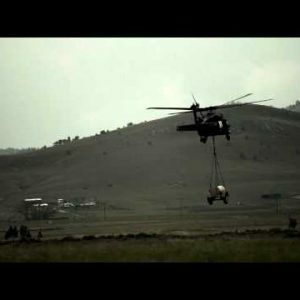 Soldiers attaching Humvee to Black Hawk helicopter. Shot of soldiers in Humvee while Black Hawk helicopter flies overhead. Humvee being hauled by Black Hawk helicopter from field. Static shot of soldiers attaching Humvee to Black Hawk helicopter. 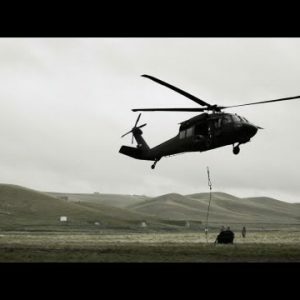 Static shot of Black Hawk helicopter hauling off Humvee. Shot of Black Hawk helicopter hauling off Humvee from field. Shot from field of landed Black Hawk helicopter and soldiers exiting. Shot from field of Black Hawk helicopter lifting fuel trailer. Shot of Black Hawk helicopter landing in field with water droplets hitting lens. 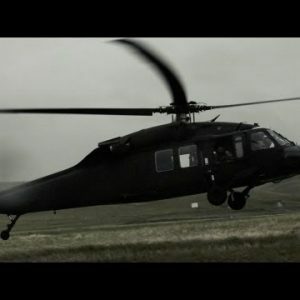 Close up shot of Black Hawk helicopter approaching landing site. Close up shot of Black Hawk helicopter approaching. Black Hawk helicopter landing a Humvee with a building in background. Black Hawk dropping cargo and flying off. Black Hawk approaching with cargo. Black Hawk approaching cargo and soldiers attaching the hoist line. Wide angle shot from in Black Hawk helicopter flying and soldiers in the helicopter. Wide angle shot from in Black Hawk helicopter of the pilots.